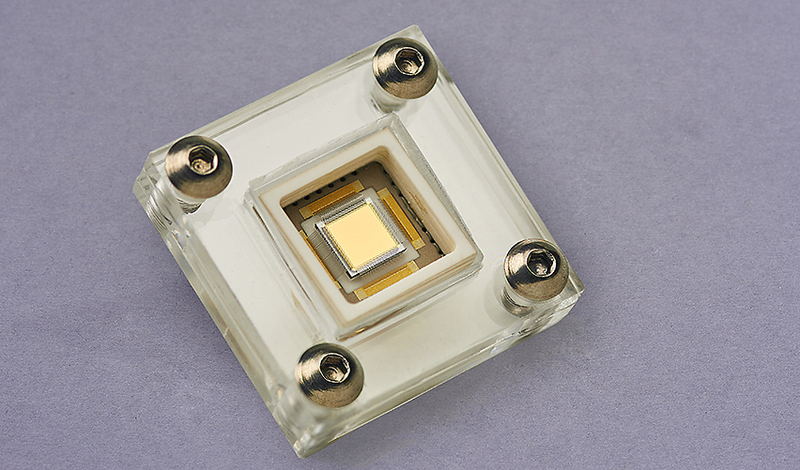 The B12 Diamond Knopf Detector is an extremely compact spectroscopic-grade diamond detector with an open aperture. The flip-chip technique® protects the detector from EMI noise pickup. The detector is mounted directly on an SMA connector for best possible compactness. The B12 Diamond Knopf Detector is UHV compatible. The B12 Diamond Knopf Detector was developed for CERN for accelerator beam diagnostics. It is used at the new Linac 4 accelerator for emittance measurements.